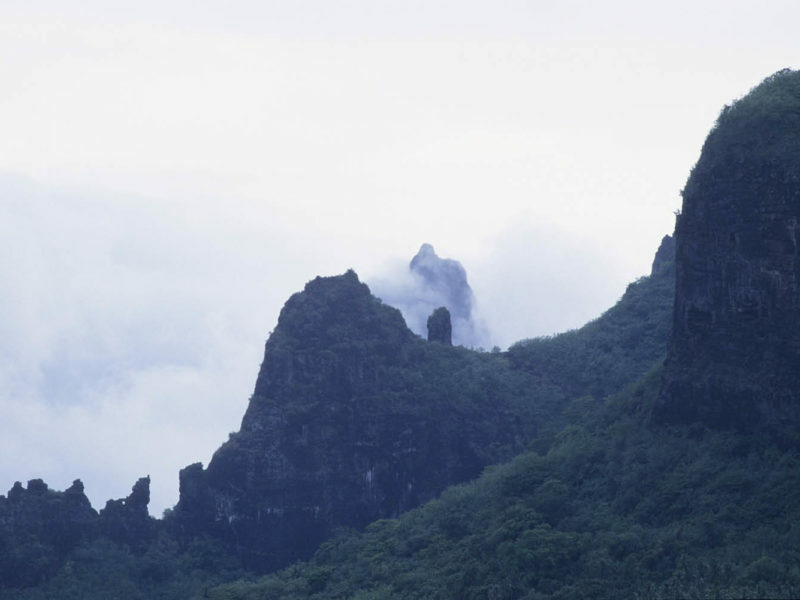 Tahiti isn't just a honeymooners' paradise, with a few quirky surprises hiding among all that natural magnificence. What do you do when you’re so hauntingly beautiful that few are willing to scratch the surface to see what really lies beneath? It might sound like the battle cry of a jaded supermodel, but it’s actually a problem shared with the Society Islands, an archipelago belonging to French Polynesia and comprising the fabled islands of Tahiti, Bora Bora and Moorea (among others). Home to endless white sand beaches, azure lagoons, and yes – those famous overwater bungalows with the glass bottom floors – you could be forgiven for thinking there’s little else to this tropical paradise. But dig a little deeper and you’ll soon discover there is a multitude of surprising reasons to place Tahiti and her glittering islands right at the top of your ‘must-visit’ list. Think that guy down the road who has ‘hate’ and ‘mum’ tattooed on his knuckles is hard? Full-body tattoos (from the Polynesian word ‘tatau’) have been entrenched in Polynesian culture for centuries. While they were banned after European missionaries first arrived in Tahiti in the late 1700s, tatau made a comeback in the ’80s, and the islands are far from short on artists, with some still practising the traditional (and somewhat painful) method of tattooing with an ink-dipped comb and stick. To celebrate all things ink, lovers should schedule their visit for November when the annual Tatau I Tahiti Tattonesia takes place on Tahiti – a festival that draws crowds of over 15,000 and treats them to tattoo demonstrations, talks and traditional performances, and we suspect, a few new pieces of body art to take home with them. Visit tahiti-tourisme.com.au for details. If your idea of enjoying tropical heat is running up steep inclines and jagged mountaintops, you are far from alone; the mountainous home of Moorea (considered the more culturally authentic alternative to showy Bora Bora) has long been a popular choice for marathon runners the world over with its annual Tahiti-Moorea Marathon, due to be next held on 31 March. Competitors can sign up for the official 42-kilometre marathon, the 21-kilometre half-marathon, or the 4.5-kilometre fun run. If that’s not enough, they can also book in for more running action on the lower-profile islands of Raiatea and Taha’a, which also hold marathons (December and April respectively) on a smaller scale. True, Polynesian islands aren’t typically well-regarded for their food (hello papaya omelette), but it’s worth remembering that the islands of French Polynesia were reconstituted as an overseas French territory in 1957 and that the influence France holds over the local cuisine remains strong. At Le Lotus, located in Tahiti’s InterContinental, several dishes have been created by a three-Michelin-star restaurant, Auberge de I’ll in Alsace, in France (with which Le Lotus has an association). And many other Michelin-star chefs work the kitchens of various luxury resorts such as The St. Regis Bora Bora Resort. Celebrate the two cultures by alternating between local dishes such as poisson cru (marinated raw fish salad) and traditional French fare such as bouillabaisse (fish soup), but be sure to lock in some of the foodie experiences held across the islands throughout the year. The events and experiences of Vanilla Week (traditionally held in June) are particularly popular with locals, but the culinary highlight must surely be Sofitel French Polynesia’s cheese and wine program, Sofitel Wine Days, which runs between September and October each year. Check out sofitel for details. Long considered the domain of loved-up couples and pouting Instagrammers in fluoro inflatables, high-end resorts across the islands of Bora Bora, Moorea and Tahiti in particular have begun welcoming young families in recent years by opening a slew of kids clubs and offering up family friendly versions of traditional resort activities. Leading the charge is Four Season Resort Bora Bora, which not only offers a traditional kids club for younger guests, but ‘Chill Island’, a private island – complete with its own private beach – for teens only. The St Regis Bora Bora Resort is also a popular choice with young families thanks to its long list of activities (as well as the all-important club), as is Tahiti Pearl Beach Resort and the InterContinental Moorea. Still waters run deep, or so the saying goes, and if we redirect our attention from those famous lagoons to the Tuamotu Archipelago atolls of Rangiroa and Fakarava, we find some of the best diving spots in the world. Legendary with divers who travel here simply to ‘shoot the pass’ – a process where they are dropped off to the ocean side of Rangiroa’s Tiputa Pass and sucked through by the current on a thrilling manta-, dolphin-, turtle- and shark-filled journey to the other side, a similar journey can be found at Fakarava’s Tetamanu Pass. Of course, how you feel about this adventure depends entirely on what you think when you hear the sales pitch: ‘wall of reef sharks’. In ancient times, dance, music, singing and sport were considered important components of religious and political ceremonies, and today, the biggest cultural event of the calendar – Heiva (meaning to assemble in community places) engulfs the islands over a month-long celebration every July. You too can embrace the spirit of mana by taking a front row seat at many of the festival’s vibrant dance shows, musical performances and traditional sporting events such as javelin-throwing, outrigger canoe racing, stone lifting and fruit carrying. Fancy privately renting an overwater bungalow for a couple of hundred dollars a night? Or how about pitching a tent right by one of those famous lagoons for next to nix? Peel your eyes from the luxury resorts and you’ll notice there’s a wide range of low-cost accommodation and campsite options available on each of the islands. Although campgrounds are less developed than what you’d find elsewhere (you’ll have to come prepared with all of your own gear, or you can purchase from camping stores in Papeete), camping devotees the world over pour in to set up digs in Bora Bora Camping, Camping Nelson in Moorea, Pension Armelle Te Nahe Toe Toa in Huahine and Pension Te Maeva in Raiatea. Not convinced a tent is really your thing? Holiday rentals of farés (family residences) are a popular option – particularly on the lesser-known islands of Maupiti and Fakarava, and privately owned overwater bungalows can quickly be found on sites such as Airbnb. 8. The most beautiful cycling event in the world? Tour de France it may not be just yet, but make no mistake; competitive cycling is big news in Tahiti – as evidenced by both the number of international events the islands hold each year, and by its reputation as one of the 50 most beautiful cycling events in the world. Perhaps the biggest star on the cycling calendar is La Ronde Tahitienne, a timed cyclosportive road cycling event held in Tahiti each May which fuses bike touring and cycling competitions across a range of options; from the Fautaua velodrome in Pirae, Papeete to the circle island tour of Tahiti. Not to be outdone, the Tour de Tahiti Nui, a huge race held every November, attracts teams from around the world and continues to keep the good times rollin’. 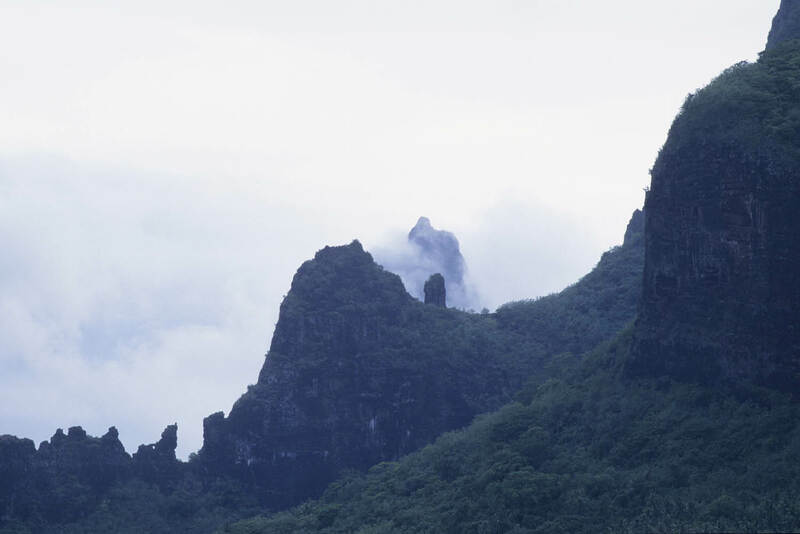 Moorea is possibly the most beautiful place in the world.